UBank, an Australian digital bank, will be soon launching a digital home loan application assistant, powered by artificial intelligence (AI). Mia, short for My Interactive Agent, will begin taking customer questions later this month, and aims to create a “simpler home loan application experience”. It was created in partnership with FaceMe. Mia has product knowledge and a “cheeky personality” – using fun GIFs and animations during her chats. You would think this would deter people from using it. The bank says her persona was crafted with the customer in mind – someone smart, empathetic, trustworthy and (check this out) someone that doesn’t use bank jargon. Customers will be able to speak to Mia via their desktop or mobile device. To begin, Mia will be launched as a pilot to a selection of customers applying for a home. Mia is the third AI-enabled project from UBank, following the 2017 introduction of RoboChat, Australia’s first chatbot to help customers with their home loan applications, and the 2018 roll-out of RoboBrain, a one-stop portal of information. This latest chatbot will complement RoboChat, and the Live Chat experience with UBank’s advisors. 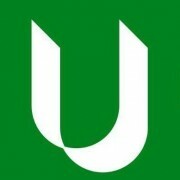 UBank was launched in 2008 and was developed and is supported by National Australia Bank (NAB). It operates under NAB’s banking licence, and offers home loans, online savings accounts, and term deposit accounts. UBank has more than 400,000 customers.